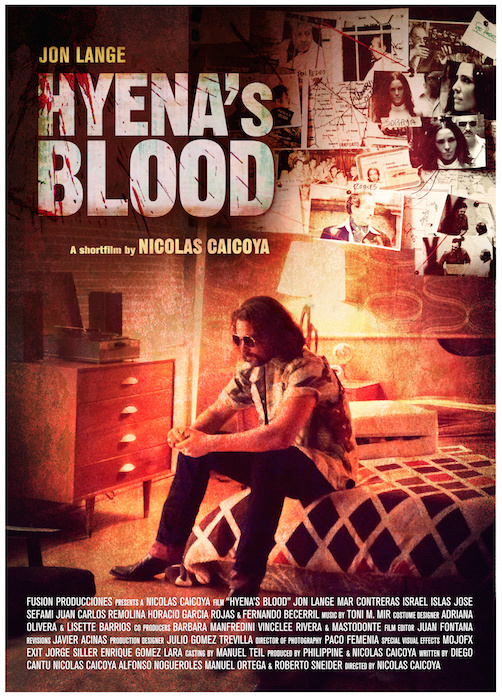 Hyena’s Blood tracks the life of corrupt DEA agent Paul Kavinski (Jon Lange) who is operating in Mexico in 1973. Renowned commercial director Nicolas Caicoya showcases his expertise with the moving image in the hyper violent world of the film. The film opens with a bang and instantly draws the viewer into an the complex world of the protagonist. Belying it’s short film genesis, Hyena’s Blood instead plays like a Hollywood blockbuster. While the performances sometimes teeter on the grand side, the facade of the 1970’s backdrop is well maintained throughout, with only occasional glimpses of the modern world sneaking in. It is within the action sequences however, that the film really distinguishes itself from the run of the mill short. Helicopters, gun battles and explosions rock the screen with a frenzy that underscores the chaotic nature of the illicit drug trade. A brief storyline regarding Kavinski’s estranged wife and child never bears much fruit, however the momentum of the film keeps the film moving and the viewer wondering if the train really is going to come off the tracks. As we get further into Kavinski’s world, we begin to see that this is not your typical rogue cop type action film. Instead, we come to find a dangerous, self-dealing king pin in the making. One who launches his criminal enterprise on the dime of the government agency he ostensibly represents. All in all, Hyena’s Blood is a bold, driven, high octane film that pulls no punches. Stylish, dangerous and decadently fun to watch, director Nicolas Caicoya is a cinematic force to be reckoned with.